ConstantlyCreating.Me – Page 3 – A place of crafty inspiration and comfort as I attempt to make the world a better, happier place. Stampin’ Up Turns 30 — and Hosts a Sale for ONE DAY ONLY! Everybody loves birthdays, right? Well, maybe that depends on how old one is turning. 😉 But there’s no reason not to love the fact that Stampin’ Up turns thirty on Tuesday, October 23! Join in the celebration by shopping their one-day sale; they’ve reduced thirty stamp sets by 15%! (Plus, there are still good items on the clearance rack, and bundles are 10% off!) You’ll find seasonal sets, ones that coordinate with dies and punches, sentiments, colorable images, flowers, birthday sets (of course! ), and more! Check out my website at https://www.stampinup.com/ecweb/default.aspx or view or click the list below to see the new ONE-DAY ONLY offers, and let me know if I can help you place an order! Orders over $150 get extra rewards! I have some favorites in the list that I already own, and I see a few more I want! You can see pictures of the individual sets over on my Facebook business page too (link in the sidebar). 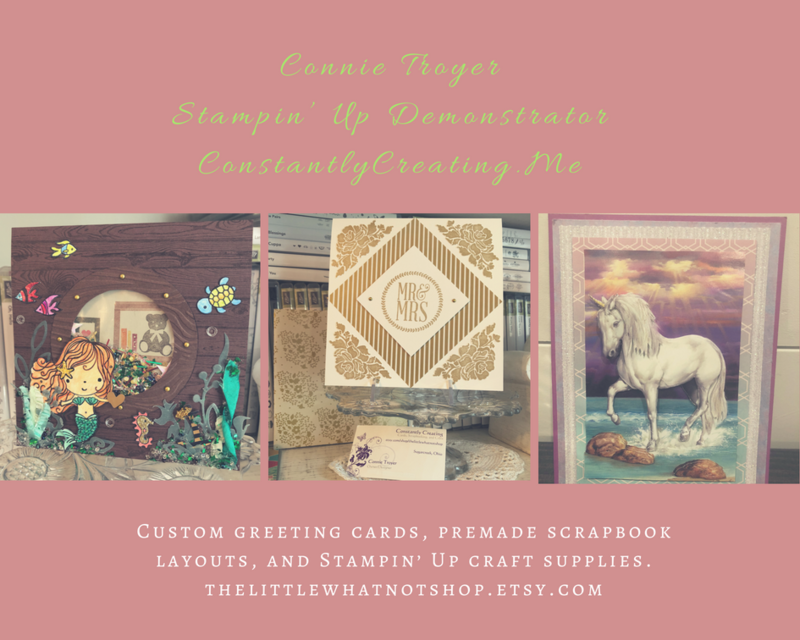 Author Connie TroyerPosted on October 23, 2018 October 27, 2018 Categories Stampin' UpTags birthday, sale, Stampin' Up, SULeave a comment on Stampin’ Up Turns 30 — and Hosts a Sale for ONE DAY ONLY!